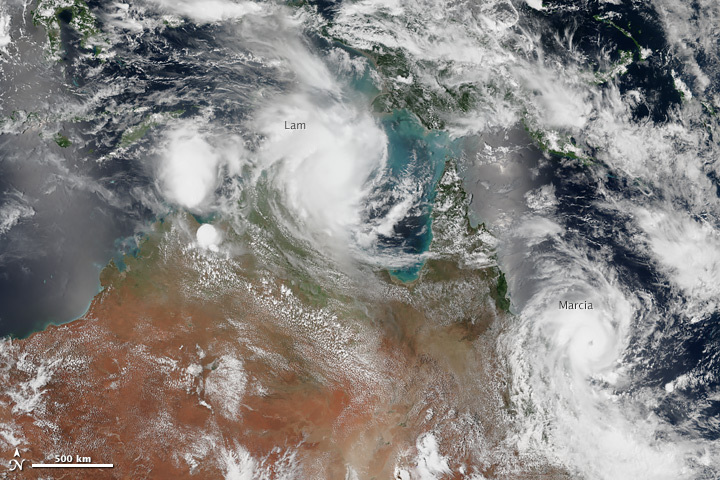 Cyclones Lam and Marcia slam into Australia 6 hours apart on Feb 19. More info at the NASA Earth Observatory.. This entry was posted in Earthquakes and Natural Disasters on February 20, 2015 by clubjosh.